Sora’s Keyblade is one of the more iconic weapons in gaming history, with its versatility, power and unique abilities. Sora will again be wielding the Keyblade in Kingdom Hearts 3, and it’ll most likely be more versatile than ever. Director Tetsuya Nomura talked about Keyblade transformations in an interview with the Official PlayStation Magazine UK. Some of the new Keyblade transformations are pretty extreme – such as this one. Is it still a blade? 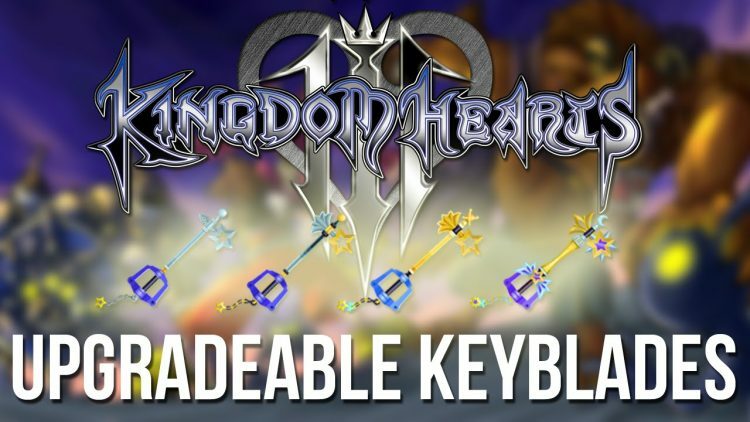 Nomura explained that individual Keyblades in Kingdom Hearts 3 will have unique forms as well as transformation options. Two transformation options are expected to be offered for the individual Keyblades, but it seems like some variants may feature further options. Nomura shared more about Keyblade transformations in an earlier interview with Game Informer. He noted that there are phases to transformations. There’s an initial phase, and then, if players successfully manage to chain together combos, they may be able to unlock the weapon’s next transformation. Tetsuya Nomura also talked about Keyblade transformations in an interview with Famitsu which was held at the MAGIC 2017 event. During this interview, he revealed that the transformations won’t follow strict offence and defence designations. This may mean that players will be able to explore more varied gameplay styles utilising transformations in Kingdom Hearts 3. So, what transformations have already been revealed for Kingdom Hearts 3? Well, in the Toy Story themed world, it looks like the Keyblade will be able to turn into a giant hammer and a drill. See the trailer below. The D23 Expo trailer showed off some more transformations, such as Twin Yo-Yos and Quick Claws for the Monsters Inc world. See below. So, it looks like we’re dealing with more interesting – and more extreme – Keyblade transformations than in previous Kingdom Hearts games. Combined with the wonderful new worlds , it could be a pretty amazing Kingdom Hearts game. No release date has been announced for Kingdom Hearts 3 yet. Stay tuned for further news about this title. Want more Kingdom Hearts-related news? If so, you could read Kingdom Hearts Orchestra back on tour next. Alternatively, you could read Riku’s new Kingdom Hearts 3 look next instead.